The 2013 Hyundai Genesis comes with simplified engine options and enhanced interior technology. The 2013 Hyundai Genesis sports a conservative yet appealing exterior that seems to borrow from other luxury brands. The grille and headlights pay homage to Mercedes-Benz while the LED daytime running lights give off an Audi vibe. Chrome trim highlights the grille, trunk, window surrounds, door handles, and bumpers, adding to an overall luxurious appearance that could make someone doubt the Hyundai badge. 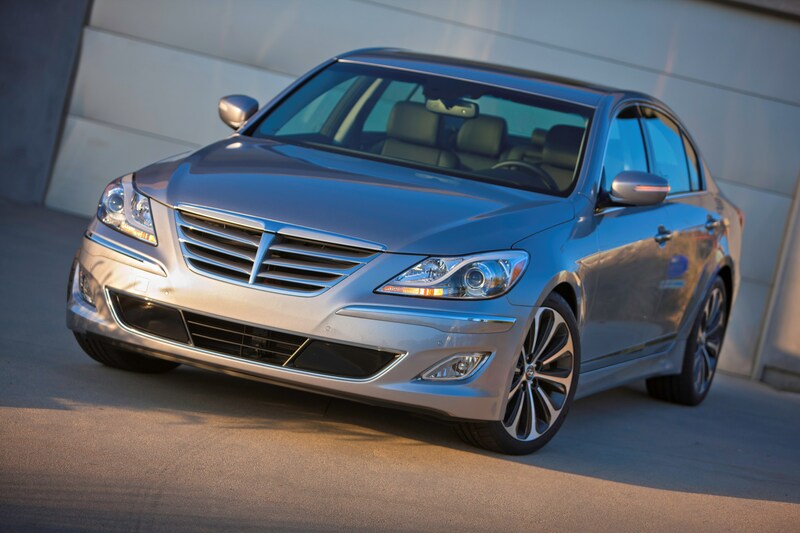 The 2013 Hyundai Genesis offers a choice of two impressive engines. Standard is a 3.8-liter V6 producing 333 horsepower and 291 pound-feet of torque, which will be more than enough for most drivers. Performance enthusiasts can opt for a massive 5.0-liter V8 that pumps out 429 hp and 376 lb-ft of torque. An eight-speed automatic transmission is standard for both engines, though the V8 model comes with sportier calibration. 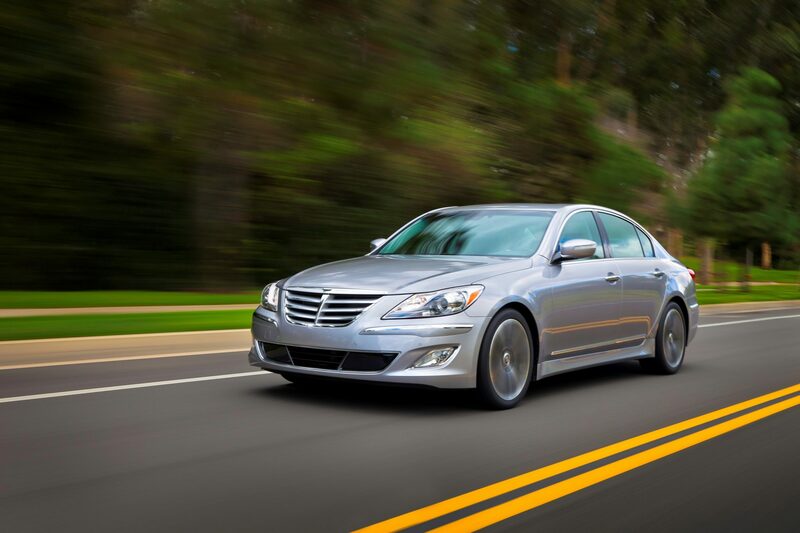 The 2013 Hyundai Genesis gets 18 mpg city/28 mpg highway and 22 mpg combined with the base V6 engine. The V8 requires premium fuel because of its high 11.5:1 compression ratio, but fortunately the fuel economy tradeoff isn’t unmanageable with a rating of 16 mpg city/ 25 mpg highway and 18 mpg combined. The exterior may have been reminiscent of German luxury brands, but the interior is all Lexus. The 2013 Hyundai Genesis offers good design execution, above-average quality materials for the cost, heated and cooled leather front seats, and abundant space for all passengers. Controls are easy on the eyes and easy to use. Standard technologies include automatic temperature control, remote keyless entry, auto-dimming rearview mirror, and an impressive multi-speaker Lexicon sound system.